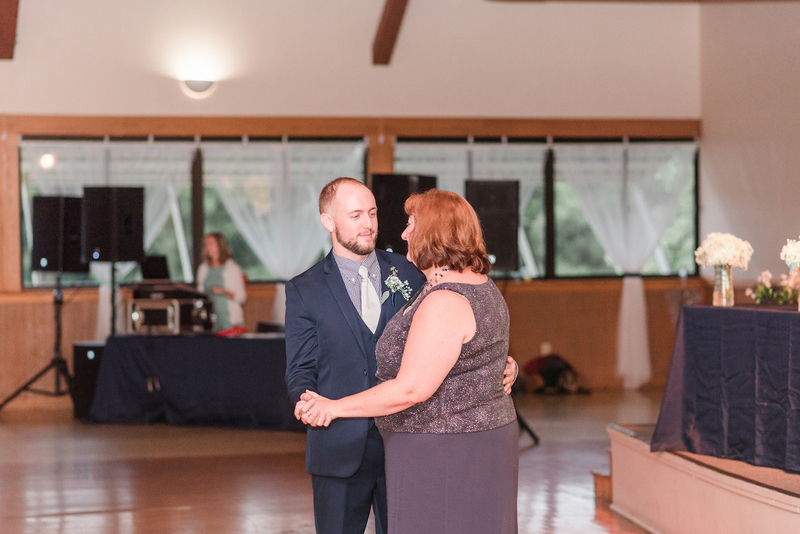 Caleb & Mackenzie’s Wedding was the first opportunity that we’ve had to return to The Lake Park Pavilion in a couple of years. 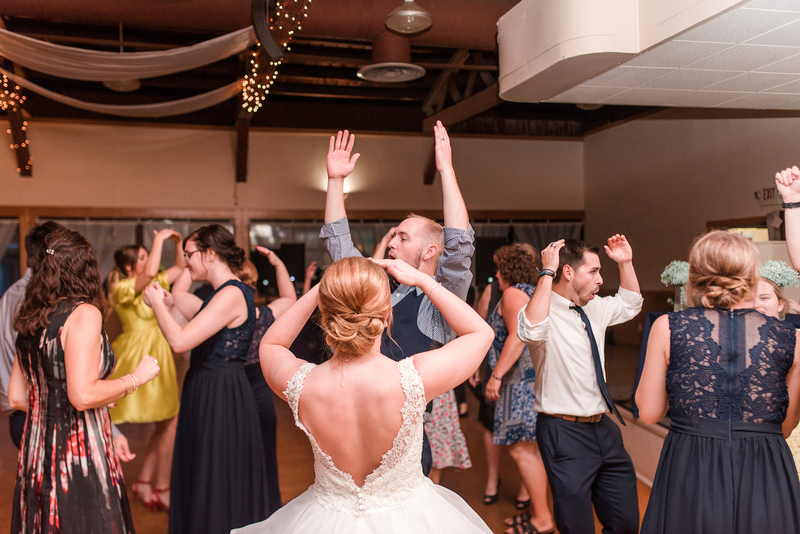 The pavilion, located in Coshocton, Ohio, is the perfect venue, offering a lot of versatility. Even though the original plan was for an outdoor ceremony at nearby Clary Gardens, persistent rains moved the ceremony to the pavilion as well. 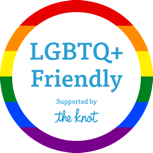 With California style seating, guests were able to see the ceremony from their tables, and after a few quick setup adjustments, everything was ready to go for the reception. 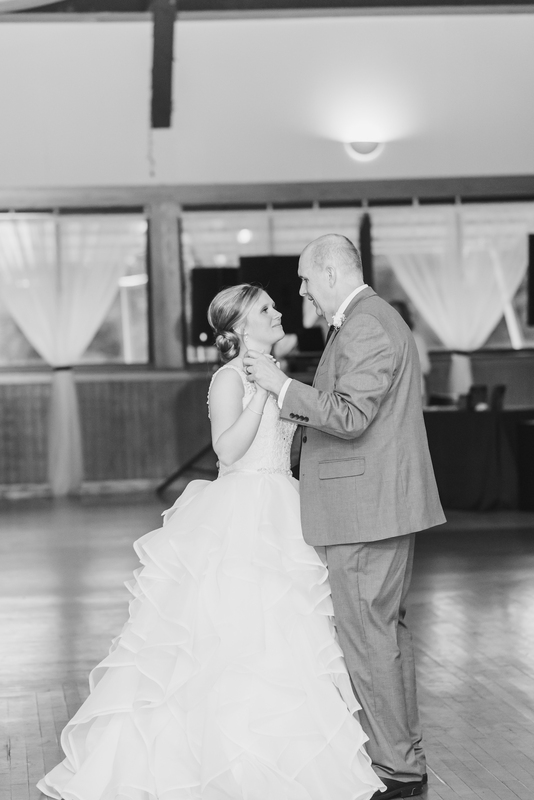 We switched up the order of dances, choosing to do the bride/father and groom/mother dances prior to Caleb & Mackenzie’s first dance. 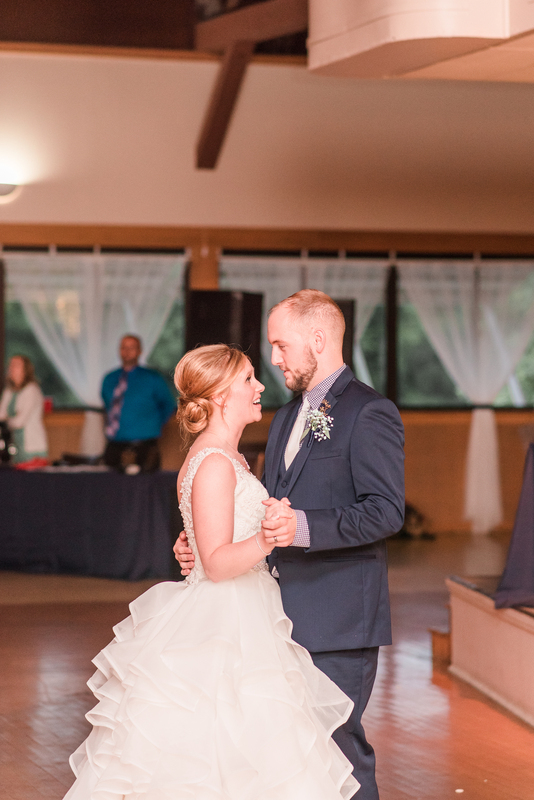 For their first dance, they surprised their guests with a mix of songs perfectly choreographed to a special dance routine! They did an amazing job with it all! 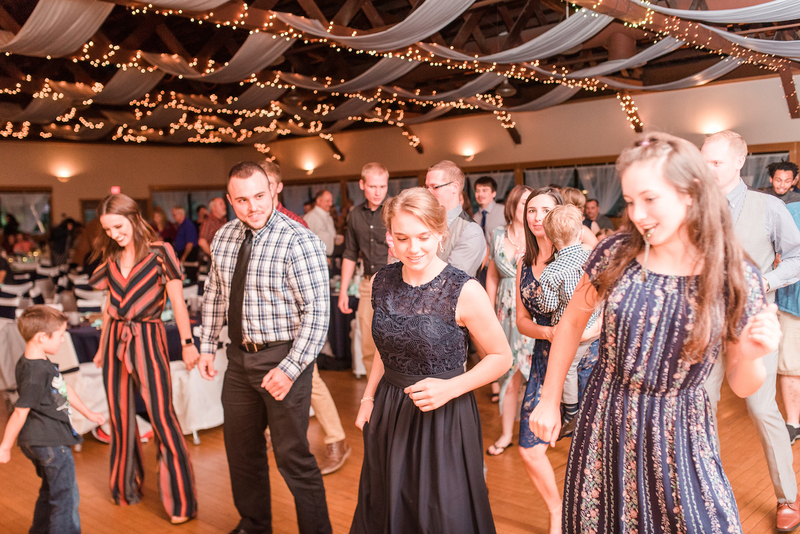 After the first dance, we got everyone out on the dance floor so that Mariah could capture the moment with a group photo. 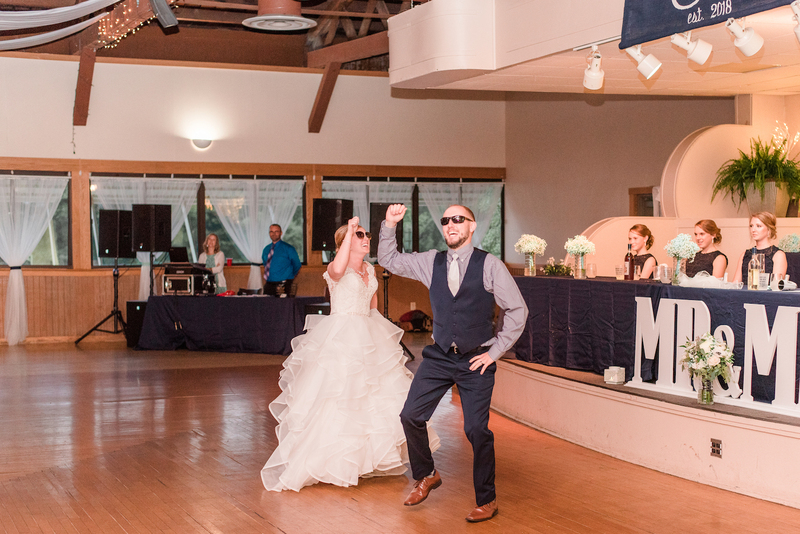 After that, we opened the dance floor. We had so much fun! Lots of great requests and everyone was so amazing to work with and entertain! 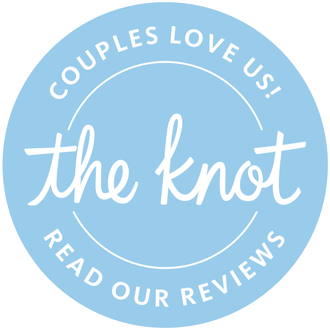 Thank you to Caleb & Mackenzie for allowing us to be a part of your wedding day! 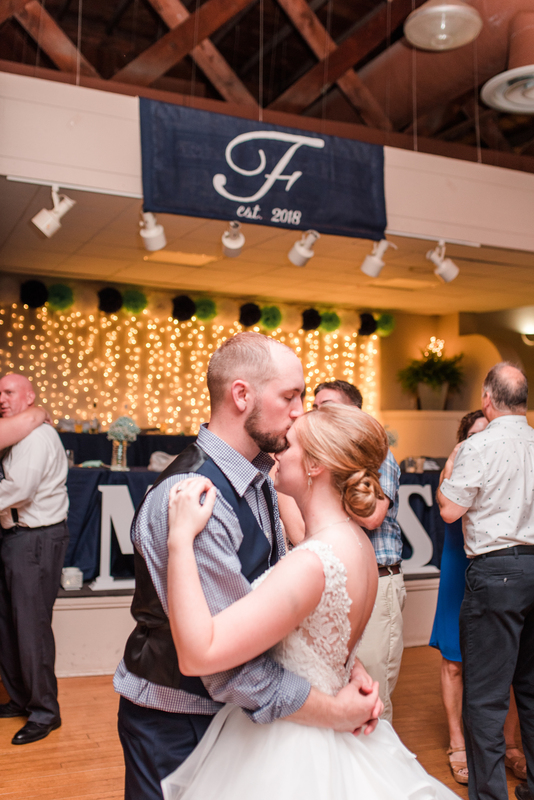 A huge thank you to Mariah from Amber + Elle Photography for sharing these pictures with us. She did an amazing job! 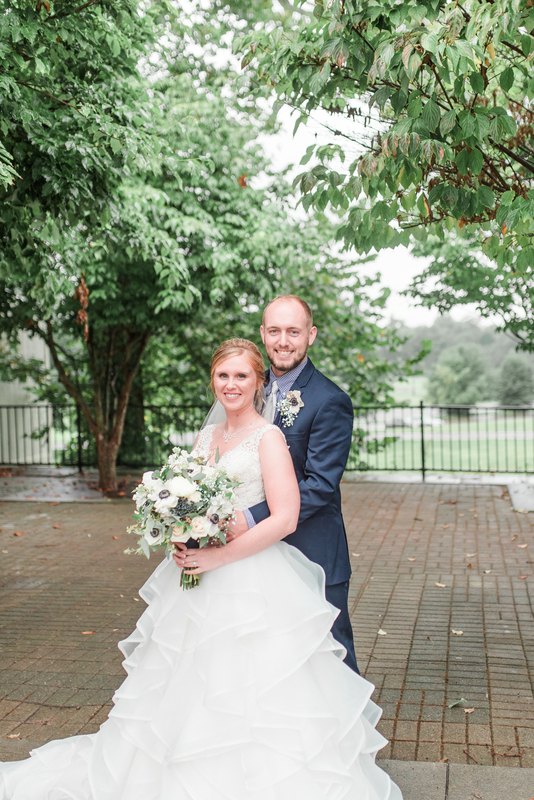 Even though it was raining outside, she was able to capture some really cool pictures with the clear umbrellas. To learn more about Amber + Elle Photography and see more of her work, make sure to follow her on Facebook or check out her website. JBK Mobile DJ is your affordable entertainment solution. 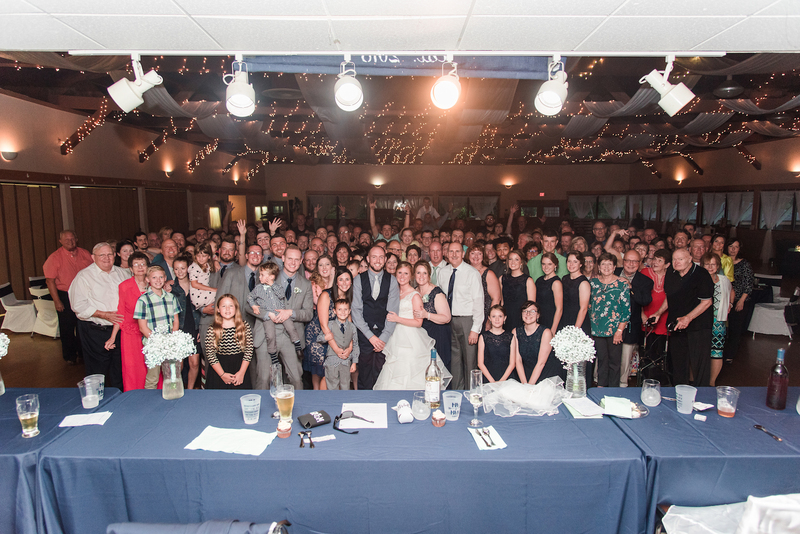 With years of Top 40 Radio experience, JBK provides weddings, corporate, and private events with the best emcee, vendor coordination, and DJ services. 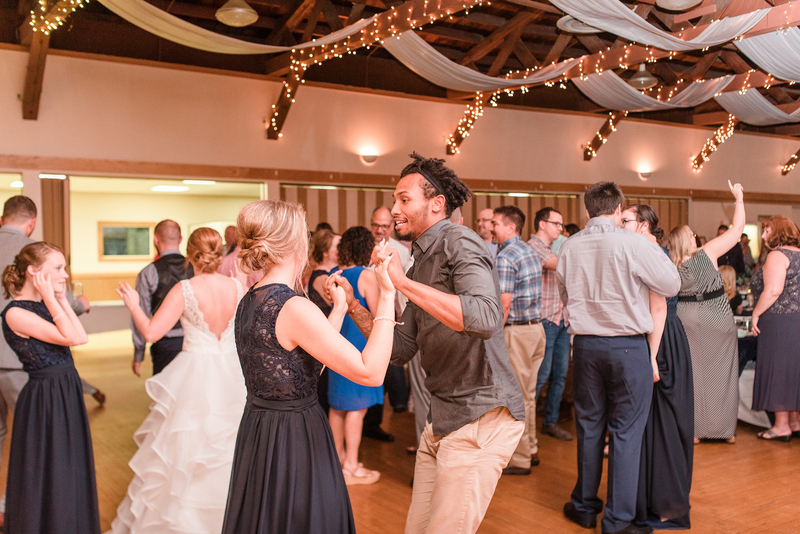 A Columbus DJ, JBK travels throughout Ohio and into Kentucky, West Virginia, and Pennsylvania to serve your event.